I introduced legislation this month to empower residents to engage our government and participate in our democracy. Government should work for its residents, not special interests. By reforming antiquated ballot access laws and making large campaign donations unnecessary, we can increase the pool of viable candidates for office and give voters real choice on the ballot. By centralizing the City’s websites and information into a single app through Single Sign On legislation, we are streamlining a vast bureaucracy and allowing residents to access the information they need. On the affordable housing front, I helped negotiate significant amendments into the Mandatory Inclusionary Housing and Zoning for Quality and Affordability proposals and saw an encouraging update in our fight against the superscraper at Sutton Place. Join more than 2,000 residents who have already voted in deciding how $1 Million is spent on projects in the community. Vote online today or in person in my office or at the remaining sites by April 3. For free reusable bags and helpful information, sign up for composting and electronics recycling in your building and much more at an Earth Day Forum. What will your Earth Day resolution be? P.S. I hope we will see you in my office this Friday, April 1st at First Friday. This is not a joke, but bring a good joke if you’ve got one. Join more than 1,000 of your neighbors who have already cast their votes to decide on how to spend $1 million in our community today through April 3rd as part of Participatory Budgeting. Anyone 14 or over can vote online or in person at our district office or a mobile voting site for the entirety of vote week. You decide on how to spend $1 million in our community starting March 26th through April 3rd as part of Participatory Budgeting. Made government more transparent with seven laws opening up the city’s legislation, law, and elections. Brought additional Pre-K seats to the East Side and Roosevelt Island, as we expanded to 60,000 seats citywide. Invested $5 million in STEM education in our local public schools and expanded free lunch citywide. Secured $45 million from the city and private institutions to revitalize the East River Esplanade. Moved the ramp to 92nd Street while continuing to fight the Marine Transfer Station. Focused on changes to the management of the city to improve quality of life. 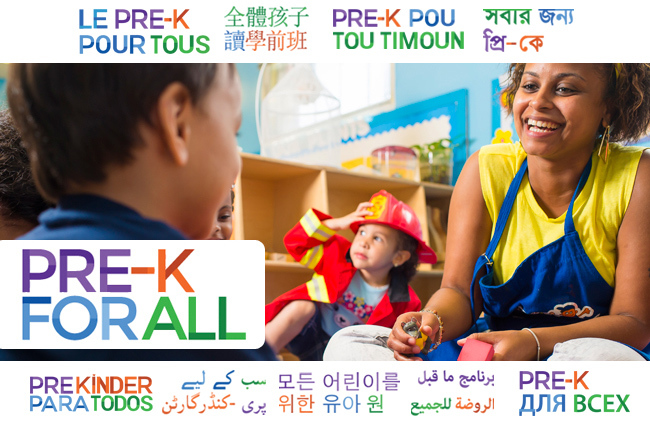 Apply Now for Universal Pre-K, the deadline is THIS Wednesday, March 9, 2016. Please email me at UPK@BenKallos.com once you apply so we can add you to our list of families in need of UPK. 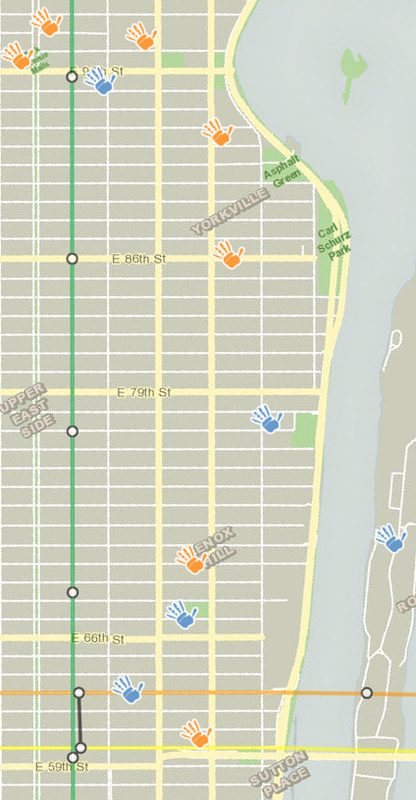 Following reporting by WNYC in 2014 that Yorkville, Lenox Hill and Roosevelt Island had 2,118 four-year-olds and only 123 pre-K seats, we've been working with parents to pressure the Department of Education to open more seats in my Council District. We successfully doubled the number of seats at P.S./I.S. 217 on Roosevelt Island last year and as of this year have nearly quadrupled the number of seats that were originally reported by WNYC. Thank you to Eva Bosbach along with the Roosevelt Island Parents Network as well as Ariel Chesler and Jack Moran on the East Side whom we are working with to open new seats in the Council District. We are actively seeking parents to help us organize other families in need of seats as well as providers with whom parents are comfortable in order to expand the number of Pre-K seats in the district. Please Apply Now and Email UPK@BenKallos.com. February marked my 35th birthday and there was no better way to spend it than with many of you at our First Friday meeting and celebration. Thank you to those who attended (I hope that you enjoyed the cake) and to everyone in District 5 who helps me love my job every day. Last month, the New York Times covered a proposal I will introduce in the Council to provide 1.4 million New Yorkers working in the private sector with an opportunity to save for retirement. We also launched the Eastside Taskforce for Homeless Outreach and Services (ETHOS) and passed bold ethics reforms that will go a long way toward preventing corruption. This month you have a chance to vote on how to spend $1 million in our community, at our Participatory Budgeting voting sites this month or by absentee ballot. Will you commit to vote or request your absentee ballot today? It has been two years, one month and twenty four days since I began serving as your City Council Member. I am deeply proud of the work we have accomplished together and excited for the road ahead. I want to thank all whom I have already had a chance to meet and look forward to meeting you or seeing you again at my District Office at 244 East 93rd Street for First Friday, Policy Night, or another event listed at BenKallos.com/Events. Or I can come to you for Ben In Your Building. If you would like to compare my goals with actions over the past two years, please have a look at my 2013 Policy Book as well as my Inauguration and two States of the District, where we looked to the past and prepared for a bright future. I am proud of these achievements, but I know we have much more to do together. Thank you for your support over the past two years. I am looking forward to the next two. Thank you to everyone who was a part of my State of the District. Our numerous accomplishments are the result of collaboration with you and it was a nice opportunity to celebrate the great work we have done together fighting for our community and city. The big news this month was our rezoning proposal to stop superscrapers in residential neighborhoods. We also passed a law to improve health education, held two hearings on my legislation to fight children’s hunger and obesity, and introduced legislation to end the corrupting influence of stipends and outside income. In February, we will hold an energy forum, where you can hear from experts on how to save on your bills and save the environment. The City Council will also hold two hearings on the Mayor’s housing and zoning plans. What do you want the East Side to look like fifty years from now? P.S. Join me in celebrating my 35th Birthday at First Friday on February 5, 8am - 10am. RSVP to reserve your slice of birthday cake. We’ve Filed to Stop the Superscrapers! Yesterday, we filed the most sweeping residential re-zoning plan by a community group in New York City history. I was proud to lead the effort with East River Fifties Alliance, with co-applications to the Department of City Planning by Council Member Daniel Garodnick, Manhattan Borough President Gale Brewer, and State Senator Liz Krueger. The new zoning plan for the Manhattan area between 52nd Street and 59th Street, east of 1st Avenue, will restrict supertowers and over-development in the neighborhood with a contextual height cap of up to 260 feet, incentives for schools, and a requirement for mandatory inclusionary housing. Read more about We’ve Filed to Stop the Superscrapers! Happy New Year! I hope you had a happy holiday season with family and friends. I would like to send a special thank you to all who attended the holiday party at my office and made it so wonderful. This past year I was most focused on fighting overdevelopment, maintaining quality of life, and improving access to affordable housing and government benefits to help New Yorkers that need it most. Please join me as we usher in the New Year at my annual State of the District on January 10th, as we reflect on our accomplishments and plan for 2016, please RSVP. Please tell me about your 2015 and about your New Year's resolutions for 2016. P.S. We are closed for the federal holiday on January 1, with no First Friday, but hope you will join me in celebrating my birthday as I turn 35 at the First Friday on February 5th, to secure your party favor and slice of birthday cake please RSVP.